The Quadrantids is an above average shower, with up to 40 meteors per hour at its peak. It is thought to be produced by dust grains left behind by an extinct comet known as 2003 EH1, which was discovered in 2003. The shower runs annually from January 1-5. It peaks this year on the night of the 3rd and morning of the 4th. Unfortunately the nearly full moon will block out all but the brightest meteors this year. If you are patient, you should still be able to catch some of the brightest ones. Best viewing will be from a dark location after midnight. 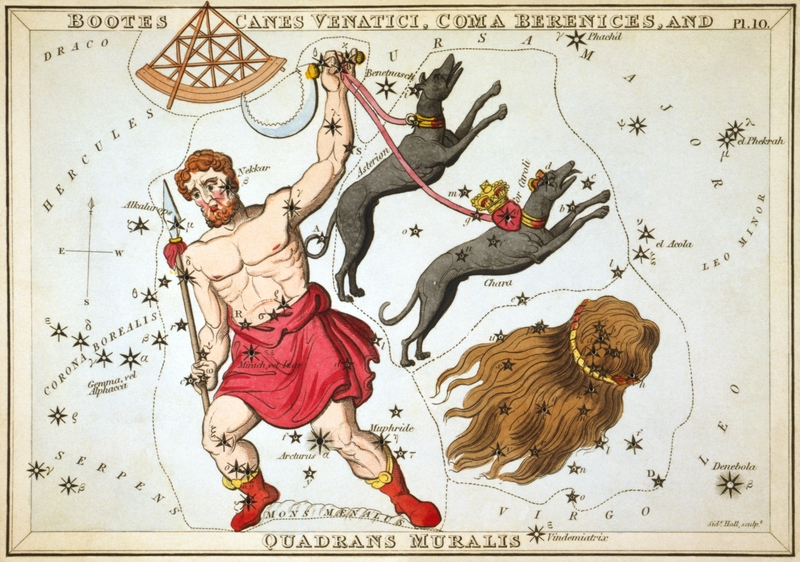 The point from where the Quadrantid meteors appear to radiate is located within the extinct constellation Quadrans Muralis. 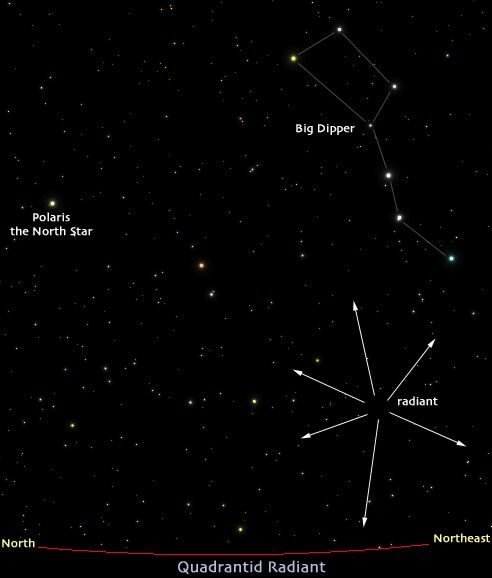 On modern star charts, this radiant is located where the constellations Hercules, Boötes, and Draco meet in the sky. The shower can appear almost nonexistent until about 11 p.m. Unfortunately, the radiant does not attain a very high altitude for most Northern Hemisphere observers before morning twilight puts an end to the show. The best observations are actually possible from countries with high northern latitudes, such as Canada, Finland, Sweden, and Norway. The display is virtually nonexistent for observers in the Southern Hemisphere. The first observation of the Quadrantids seems to have occurred on the morning of 1825 January 2, when Antonio Brucalassi (Italy) remarked that “the atmosphere was traversed by a multitude of the luminous bodies known by the name of falling stars.” Apparently accidental rediscoveries were also made on 1835 January 2, by Louis Francois Wartmann (Switzerland), and on 1838 January 2, by M. Reynier (Switzerland).